Camellias are great garden plants with well known varieties including the species Camellia sasanqua, C. japonica and the ‘Tea Plant’ C. sinensis. They come in a range of plant forms and camellia flower types also vary greatly. Camellia Japonica is a well known ornamental species from China and Korea. Camellia sasanqua is a sun loving camellia that makes a great hedges or hedging plants. Camellia sinensis is the tea of commerce, grown widely for the young leaves that are picked and dried. Camellia Higo are related to camellia japonica but rare in Australia while Camellia Reticulata has large flowers, again not widely found in Australia. The ‘Japanese camellia’, camellia japonica are very popular for the masses of flowers, for care and pruning of camellia japonica. The sun loving camellia, well suited to sunny position and great as a flowering screen or hedge or use Camellia sasanqua as a stand alone specimen plant. Camellias make great hedges, although slow growing they make a dense screen, flowering and great glossy foliage. Cammellia hedges require little pruning and care once established. Camellias have been popular with gardeners for centuries, in particular in China and Japan. Long flowering season, nice glossy foliage and are fairly disease resistent. Once established camellias are fairly drought tolerant. Easily clipped to form a flowering hedge. Camellias grow well in pots. They can be trained, pruned or even espaliered so they can fit in almost anywhere. 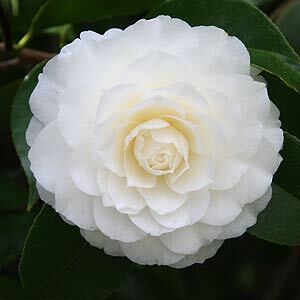 Sasanqua Camellias are tolerant of shady positions, but do best in part shade to full sun depending on climate, and with brilliant flowers can liven up darker parts of the garden. Flowers come in many colors, from white throught to dark reds, including pink mauve, yellow and even multicolored. Flowers come as both singles and doubles. Camellias have a mild sweet fragrance. Foiliage if very popular as ‘backing’ with florists. Camellia flowers are often ‘floated’ in a bowl of water. They will grow from 2m to 15m depending on species. Camellia kagirohi, Camellia petelotii, Camellia flava, Camellia rubriflora,Camellia fraterna, Camellia pubicosta, Camellia tamdaoensis, Camellia amplexicaulis and Camellia cucphuongensisisare newly discovered yellow flowering species discovered in Vietnam, not readily available in Australia. Camellias are available for sale from the following participating nurseries. Camellia nursery growing and selling quality sasanquas, japonicas, reticulatas, hybrids, Higos and species.